Like most girls, I love trying new beauty products! I always read reviews first and often give products a try based on the ones that have lot’s of five-star ratings. 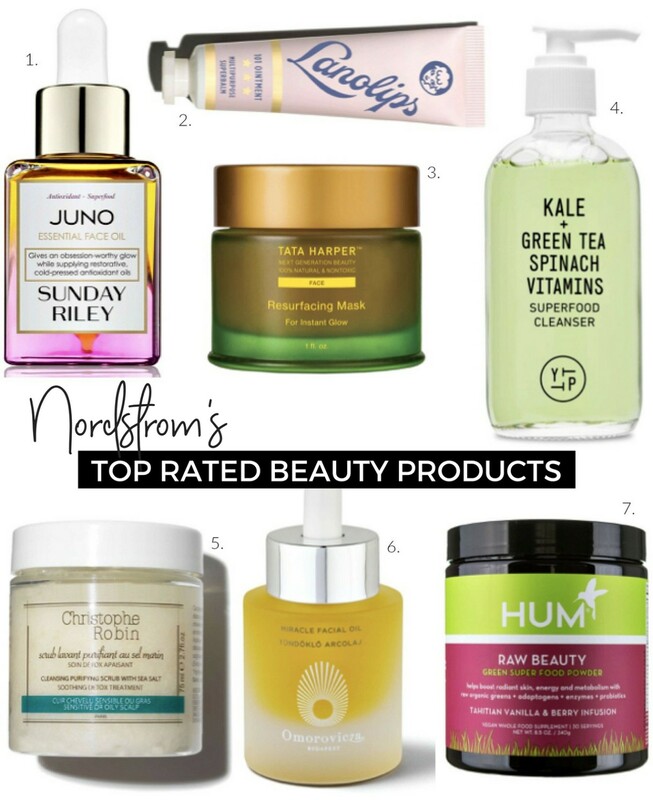 I have rounded up Nordstrom’s Top Rated Beauty Products and these are all absolute winners! I’ve personally tried a number of them too and can vouch, they really are some of the best beauty products out there. Have you tried any of these too? Leave a comment and let me know of a beauty product you love! I’d really like to check it out – referrals from friends are always brilliant. I’m excited to hear your thoughts, hank you in advance! Also, in case you missed it in Style Sessions Fashion Link Up this week I was wearing an Emerald Green Dress that I absolutely adore! It’s such an easy wrap style dress to wear and flattering for every figure. I hope you like the outfit as much as I enjoy wearing it. If you haven’t already linked up one of your recent outfits, be sure to head to Style Sessions and share your latest looks! Oh yes, 1,3 and 6 are some of my top beauty faves too! I’m a big fan of the Christophe Robin hair scrub, and I’ve been dying to try Juno—great picks! I’m also hosting a linkup today—please stop by if you can!